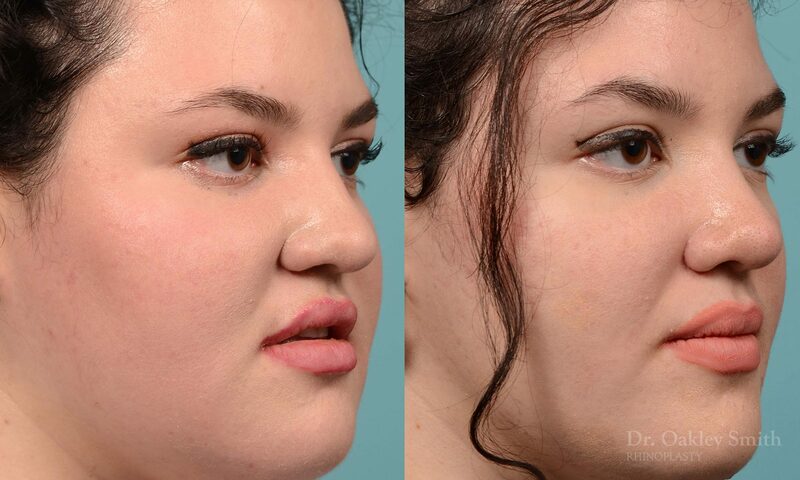 Our patient has disliked her nose for over a decade and has been thinking about a rhinoplasty for several years. 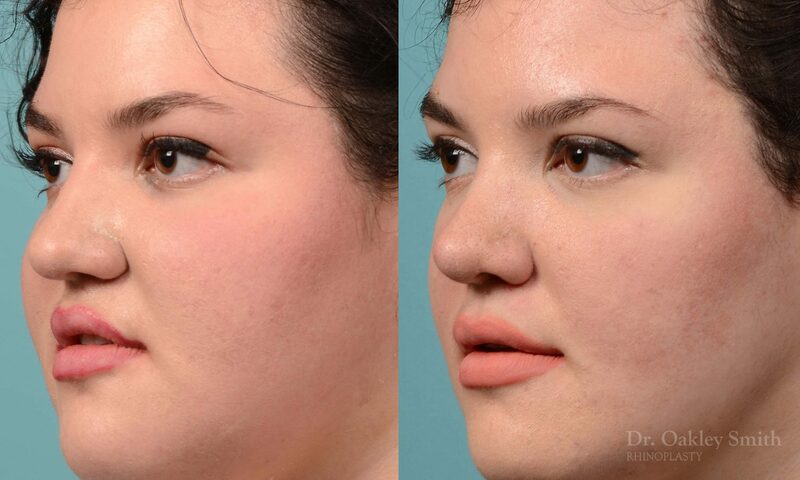 She wanted her slight bump removed, the bottom part of her nose narrowed, the round tip refined and her tip rotated. Unfortunately she has very thick skin. She had done her research online and understood what this meant to her outcome. She knew the degree of definition or refinement would be therefore reduced. The amount of overall reduction in the size of her nose would again be restricted by her thick skin. 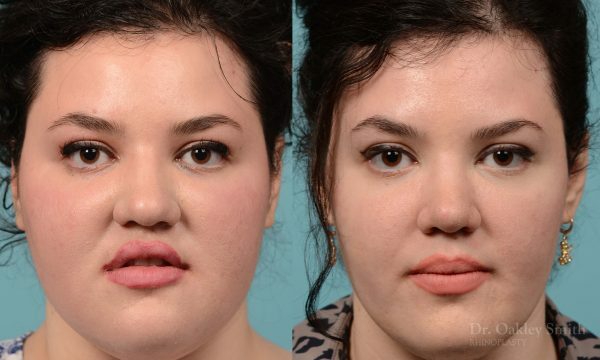 Given these restrictions, her surgery was rather successful. 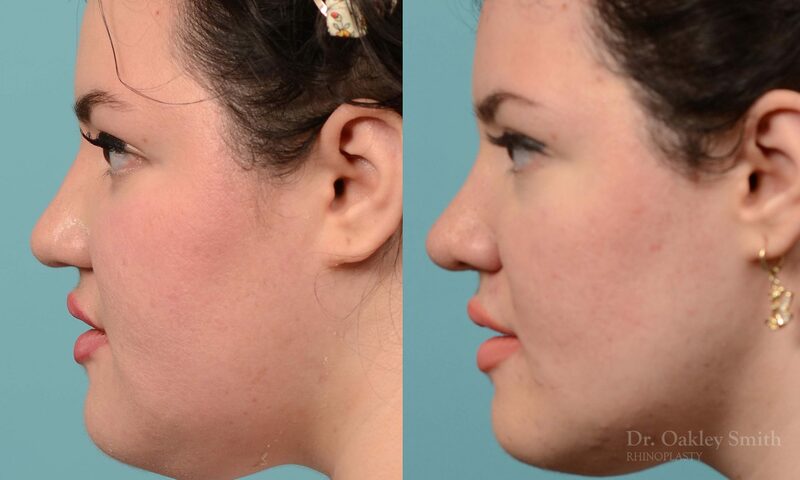 The result was a considerable reduction in the width of her nose. Also her nasal tip was narrowed. 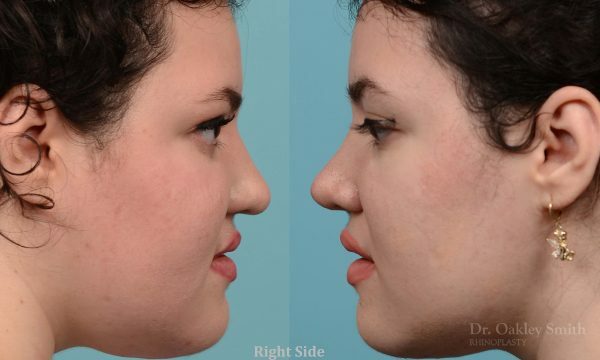 The tip was able to be rotated and a good break point created to replace the roundness of her tip on profile view. Before and after photos from the Toronto office of Dr Oakley Smith, one of only a handful of surgeons who practice exclusively rhinoplasty surgery.